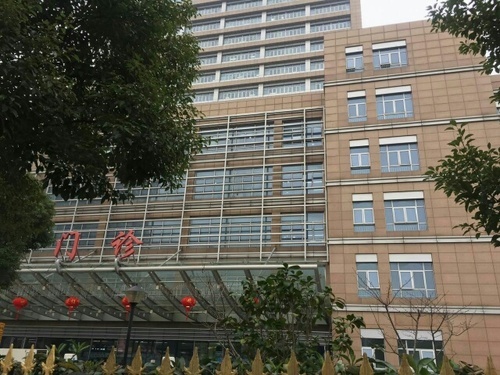 Ren ji Hospital (simplified Chinese: 仁济医院 ) is a general hospital located in Shanghai (Tang Qiao Road, Pudong Xinqu), with the rank of "Grade 3, Class A". 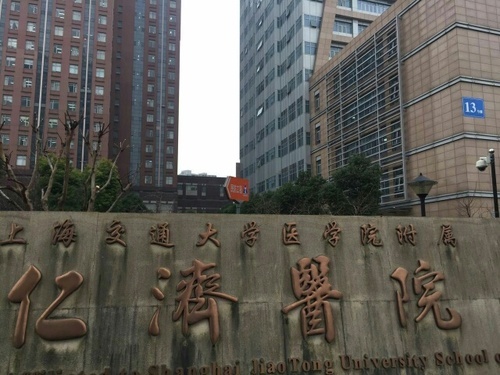 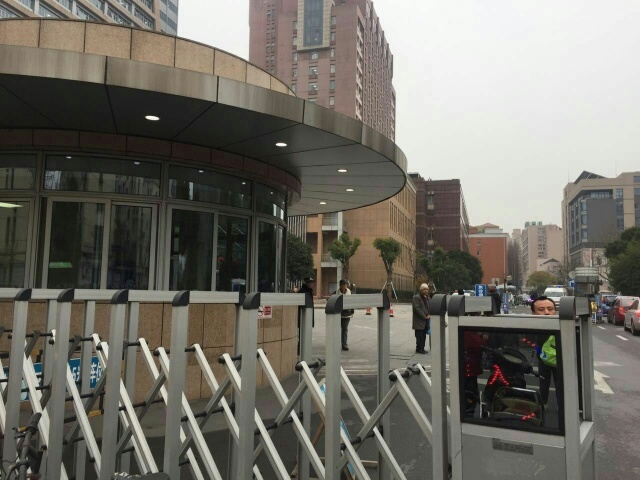 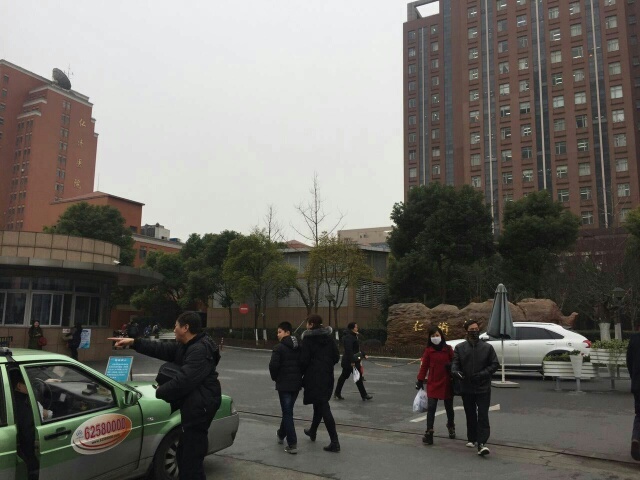 The hospital is a university hospital affiliated to Shanghai Jiao Tong University School of Medicine. 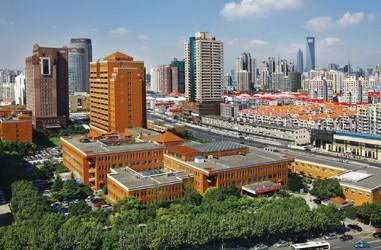 It was founded by Dr William Lockhart, a british surgeon and missionary in 1844. 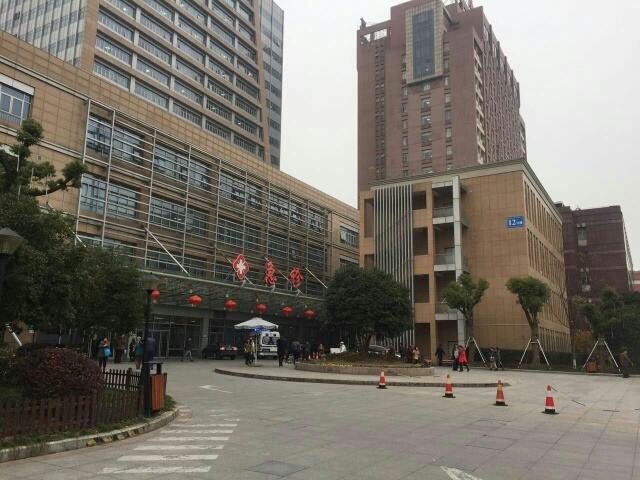 It was also the first western hospital in Shanghai and the second in China. 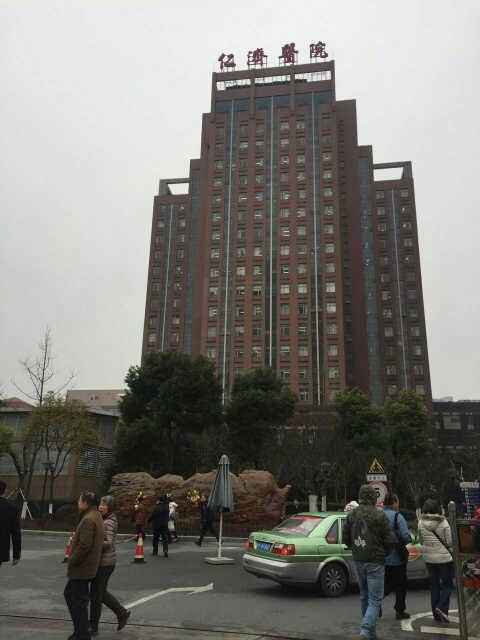 Originally the place was chosen by William Lockhart near Da Dong Men area (Shanghai Puxi old area) and there were "only 60" patient-beds , but due to the big expansion of the population , the Shanghai Jiao Tong University School of Medicine decided to move the entire hospital many and many times: firstly to Mai Jia Quan (now Middle Shandong Road) by changing its name to Shantung Road Hospital, then finally to the modern area of Pudong Xinqu Lujiazui, this time with its original name. the main east part is situated in Pudong Xinqu New Area (the one my photos are referred to) ,the west part in Puxi Old Area and the south part in Minhang district . 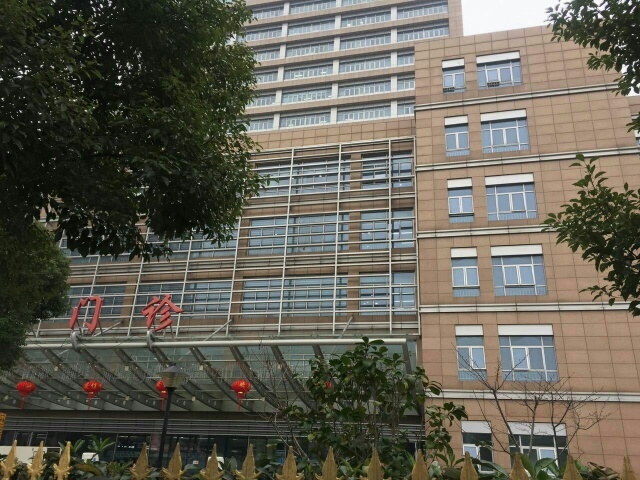 In total the hospital offers 1,600 patient-beds, has 2,651 employees, among them 411 are senior doctors. It treats about 2,170,000 emergency cases and outpatients, about 57,000 inpatients and over 28,000 operations every year.